Ningbo BOC International Trading Co, LTD is located in one of the most economically-viable coastal city-- Ningbo, Zhejiang. The company and the world's longest cross-sea bridge-- Hangzhou Bay Bridge are 50 kilometers apart, and it stands only 5 kilometers away from Beilun Port and 20 kilometers away from Ningbo Lishe International Airport. Thus, BOC has quite convenient transportation as well as excellent working environment and harmonious interpersonal relationship. Ningbo BOC International Trading Co, LTD was founded in May 2010 as an export-oriented trading company which was invested by overseas Chinese, and it mainly engaged in auto spare parts. 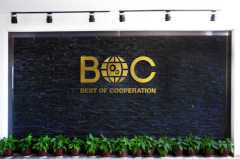 Since its inception, BOC has always seeked for reform and innovation so as to update management concepts, improve rules and regulations and perfect management mechanism, finally, it establishes an efficient, professional and experienced team. Our main products include: automotive body parts, chassis parts, electromagnetic parts, brake systems, steering systems, transmission and other accessories. All products have passed ISO9001-2008 and ISO / TS16949 Quality System Certification and go for Toyota, Kia, Daewoo, Jeep, Mitsubishi, Nissan and other brands very well. 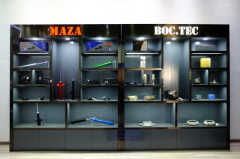 In addition, our own registered brands, MAZA, BOC.TEC, has been widely recognized by the market. Ningbo BOC International Trading Co, Ltd. enjoys sound reputation in Middle East, Central Asia, South Asia, Africa and Eastern Europe depending on professional management team, perfect after-sales service and sincere business concept. 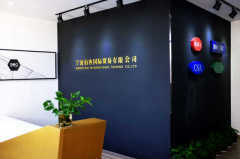 After establishment of branch office in Wenzhou and Nanchang, BOC will continue to expand market in Russia, South America, Southeast Asia, Europe and North America. BOC always adheres to the "people-oriented" business philosophy. It insists on employing excellent corporate culture to shaping talents, providing better working platform to promoting talents and applying reasonable incentives to encouraging talents, so that every employees can make great progress. 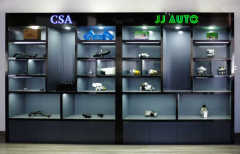 In the future, Ningbo BOC International Trading Co, Ltd. will serves our customers with full enthusiasm, considerate service and creditable product quality, so as to promote the whole team to thrive and prosper further and finally make contribution to the realization of reputable International Automotive Market which is characterized as "Made in China"
Competitive Advantage: 1.Professional purchase experiences in auto industry for many years. 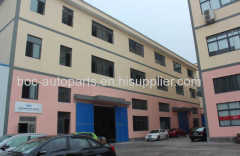 2.Have inpendent warehouse with 1200 square meter area. 3.Have abundant products lines including automotive body parts, chassis parts, electromagnetic parts, brake systems, steering systems, transmission and other accessories..
4.Our markets covers Middle East,Asia,Africa,Russia,North & South America. 5.Prompt feedback and after-sales service.